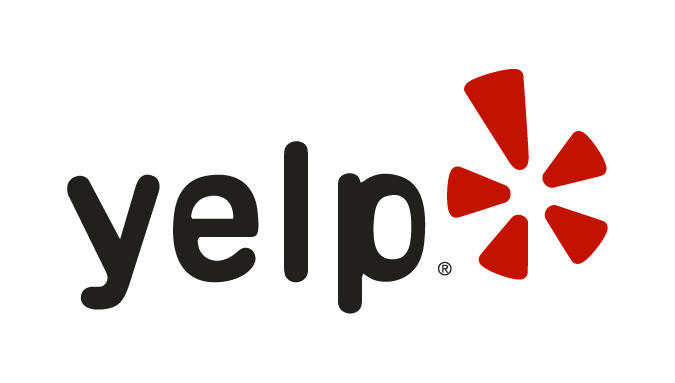 Korean run sushi places get a bad rap from foodies/sushi snobs(lol) but honestly, I don't really mind them! Sometimes you just don't want fancy seared, this and that, LOL, and Korean run places serve that purpose haha! 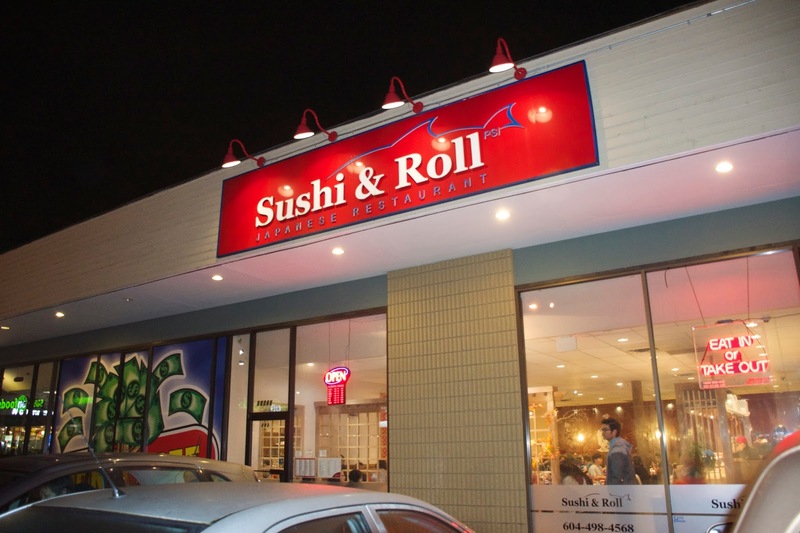 Sushi&Roll is like Surrey's version of Sushi Garden! We were seated in no time at a spacious two person table, service was friendly, and the food came really quickly! 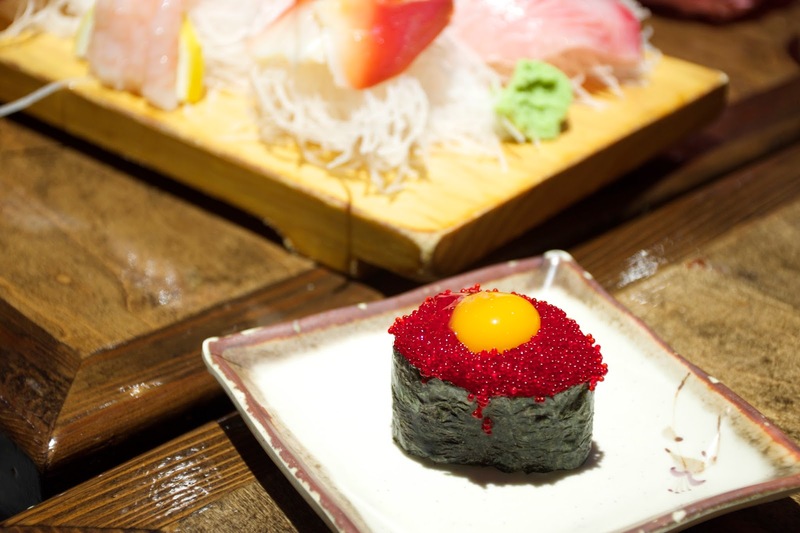 There aren't many places for sushi in Surrey, but Sushi & Roll is definitely one of the better ones! It's uber covernient too, it's located right by Surrey Central Station! If I went to SFU Surrey, I would probably go here every week LOL! Whenever I eat sushi with my dad he forces me to dunk my sashimi into globs of wasabi which I hate because I like the clean taste of natural fish. He thinks that if I don't I'll get bugs in my stomach or something *facepalm* LOL! It's an old chinese myth hahah cause my grandparents are like that too! He even does that with sushi! I tell him that coating the entire piece with wasabi and soy sauce is the improper way to eat it and that you're supposed to gently dip the piece into the soy sauce or you can brush the condiments onto the sushi with a piece of ginger, but he doesn't believe me LOL! 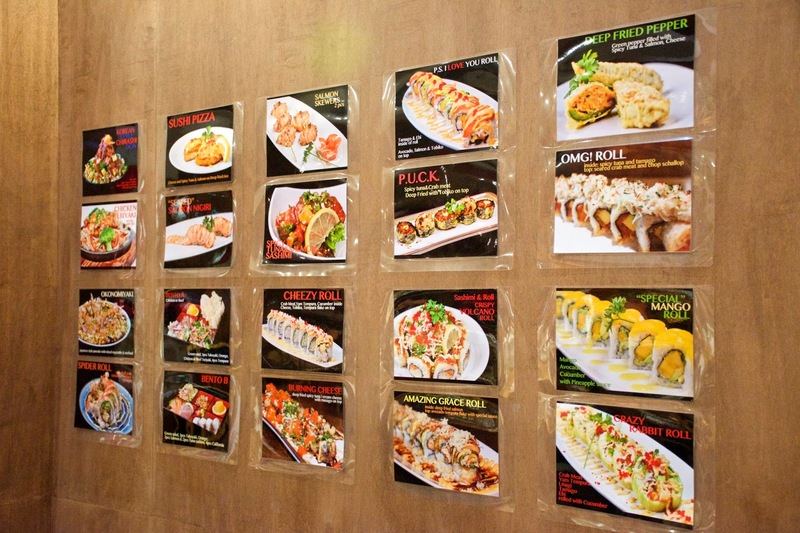 (Click to Enlarge) They have a visual menu of their specialty items on the wall! The "Korean style chirashi" and the Crazy Rabbit Roll looked pretty cool! Since we already had enough food for the two of us, I only got one nigiri! My favourite part about eating tobiko is how the little eggs pop in your mouth haha! The nigiri itself was well wrapped and the seaweed actually tasted surprisingly fresh! On the menu the description didn't sound all that special haha, but I decided to order it because it's one of their signature rolls! 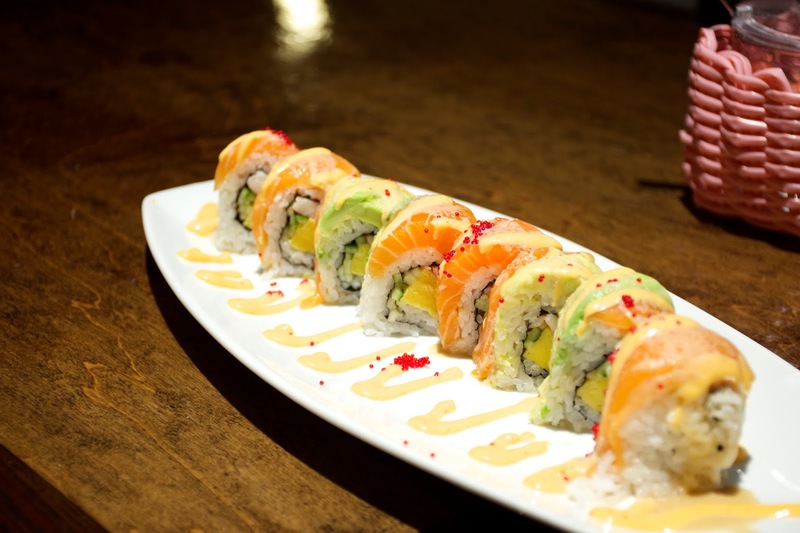 The PS I Love You Roll consists of ebi, tamgo, cucumber, salmon, and avocado, topped with tobiko and drizzled with their special sauce! This was actually really tasty LOL! The sweetness of the tamago paired really well with the fresh tasting avocado, and the sour dressing. Sounds weird, but it worked! 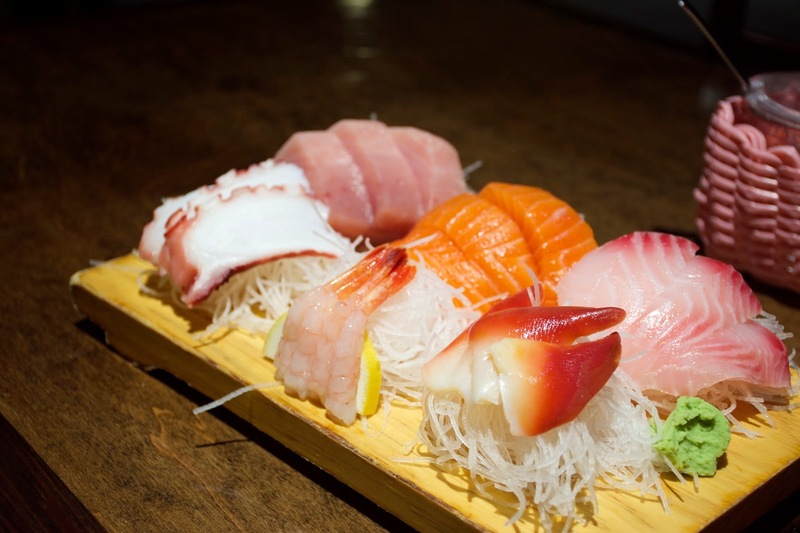 We also got some assorted sashimi! For $14.95, this was a pretty good deal! The tuna and salmon pieces were cut really thick, like most Korean run Japanese restaurants lol. Everything tasted pretty fresh, and nothing was amiss! 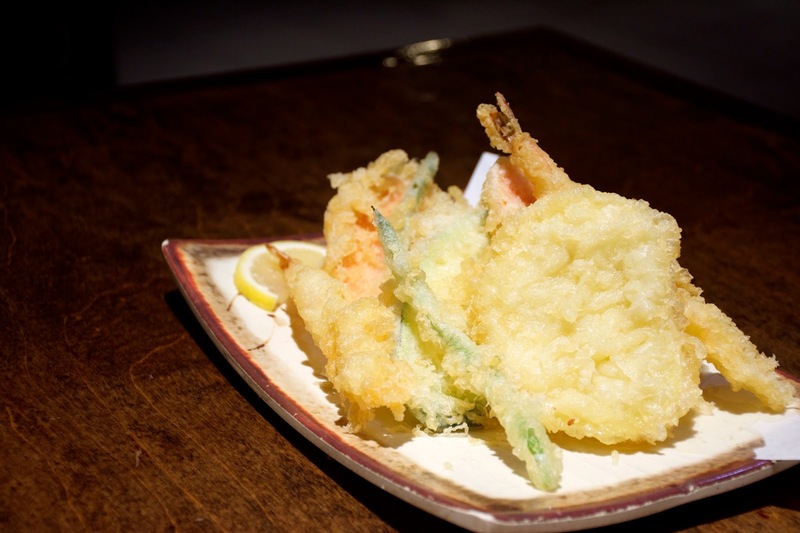 The assorted version comes with 2 pieces of yam, ebi, cucumber, sweet potato, and peas! This was a pretty good version, the batter was crispy and airy and it wasn't greasy at all!